Parent Volunteering with the PTA! There are loads of opportunities for you to get involved in helping the school - volunteering in your child's classroom, joining the PTA, contributing to fundraising drives and community service events, and more! 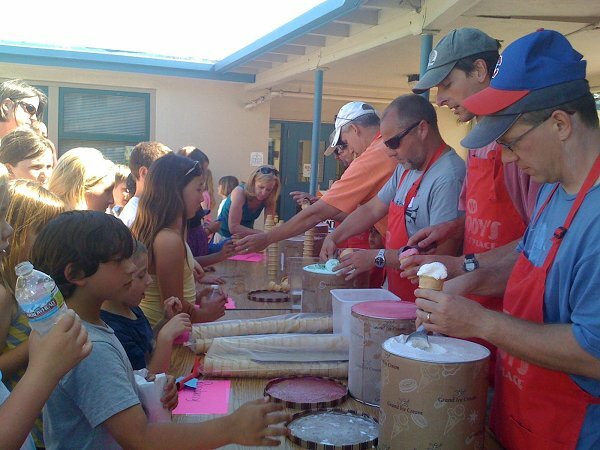 Join the many parents at Strawberry Point School who volunteer their time to enrich our children's educational experience, strengthen our growing community, meet new friends and have fun! We have something to meet everyone's schedule. Every Friday, at our Coffee Cart (7:50am - 8:30am), you can meet with other parents and PTA members to learn more about the current and upcoming opportunities and events at school! You may also express your volunteering interests using our ONLINE FORM.